Wow what a time we had. The Musa Masala team descended on Lake Tahoe for the Wilderness Medical Society’s Winter Conference. 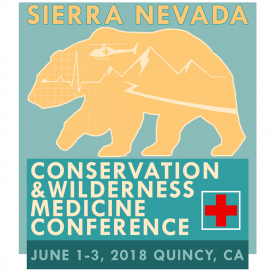 Not only was it another great opportunity to learn from some amazing instructors and speakers on the finer and rougher points of wilderness medicine, but it was the first big fundraising project by Musa Masala: an art sale and silent auction in conjunction with our merchandise table! 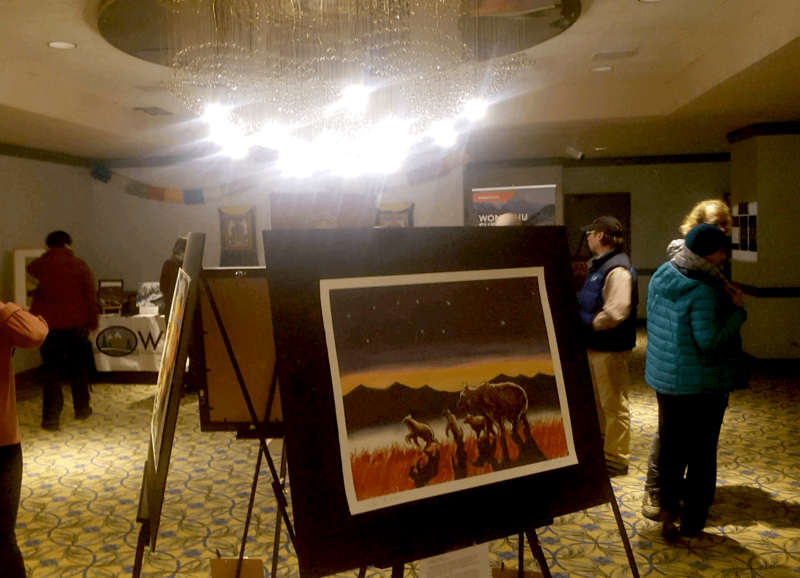 We had been planning the art sale to benefit the Wongchu Sherpa Memorial Hospital Fund for a few months before the conference. 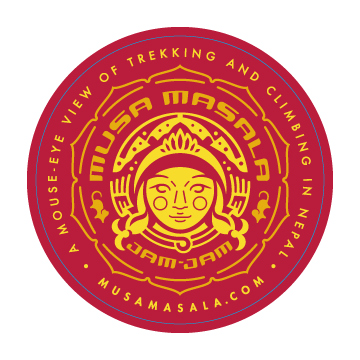 Musa spread out around the globe, Hannah Dennison bringing in four artists from Ireland and Sarah Frances McClure bringing in several as well. 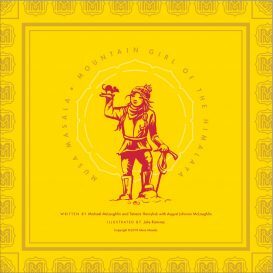 We had contributions from Julie Ramirez, the illustrator of Musa Masala: Mountain Girl of the Himalayas. Julie also brought in two other artists from RBMM, where she works. 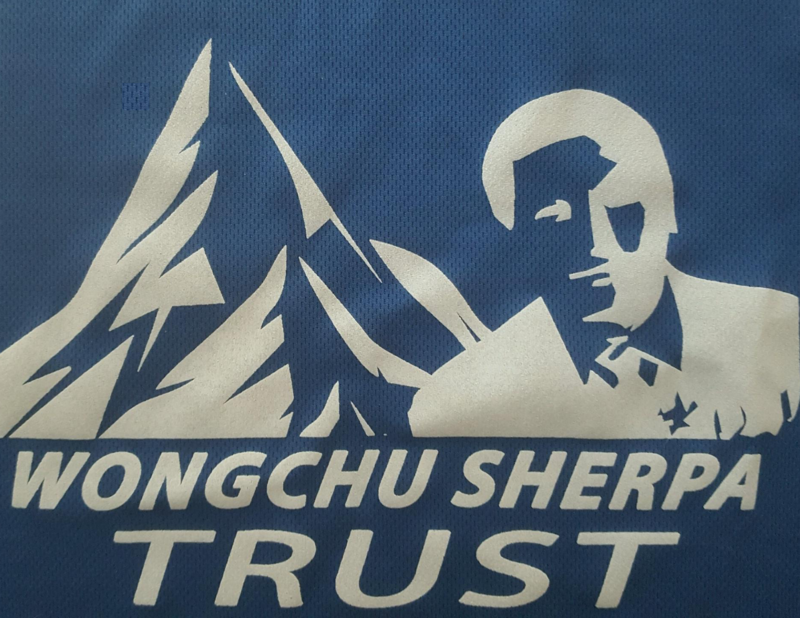 RBMM has been providing pro bono service for Musa Masala projects to support the building of the Wongchu Sherpa Memorial Hospital. We were able to bring in a very special collection of artists who donated their works, allowing us to send all of the proceeds directly to the hospital fund. Without their kindness and generosity we would never have been able to have such success. Here is a list of our contributing artists. We give them the greatest thanks and celebrate their talent! Our silent auction and sale was scheduled for the opening night get together. 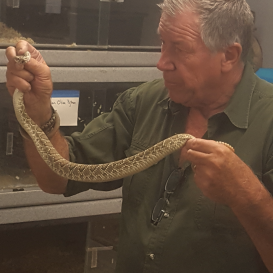 The conference was held at Harvey’s Resort and Casino, just across the Nevada border. 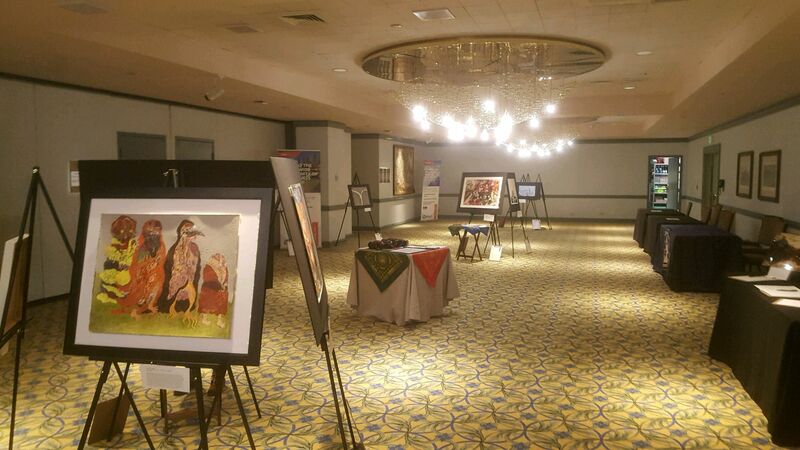 The Musas only had a few hours to set up our merchandise and promotion table and a 35 piece art show! 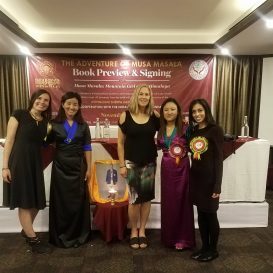 The team consisted of Mike Ji, Tatiana Havryliuk and we now can introduce new members of the Musa team, Jennifer Konopka, Suzanne Cheree Ellis and Erica Sutehall. We were also helped by Laurel York Odell, who stepped in to construct many of the easels we needed. Lauren saved many a head from being schwacked with her smart idea of putting the clipboard for each piece on the ground instead of tying them to the easels. Otherwise when you grabbed the clipboard, it would have swung the easel onto your head—ouch! The auction was fast paced and seemed to be over in no time. 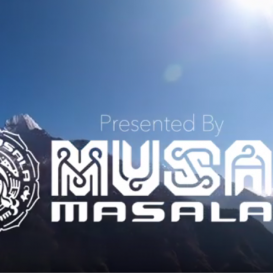 When the dust had settled, Musa Masala had raised over $10,000 for the hospital! 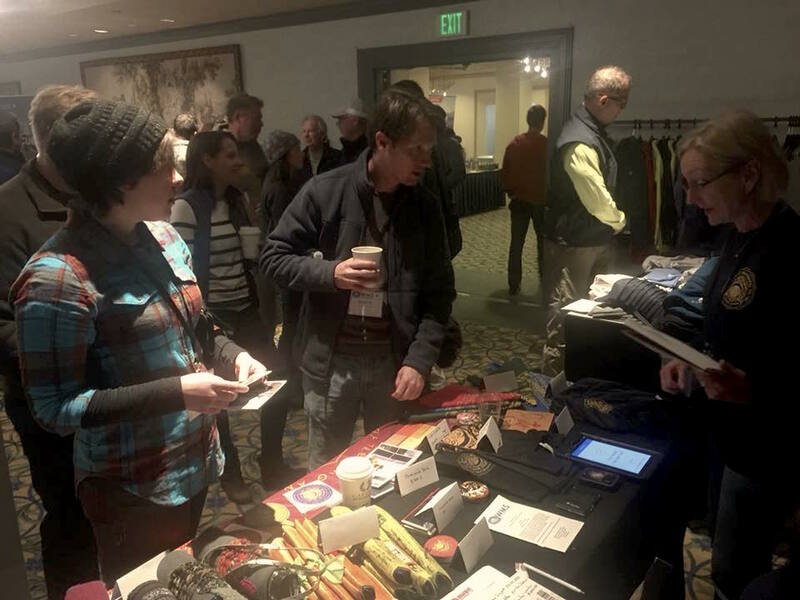 Over the rest of the conference, our table raised another $3,500 in sales donations. 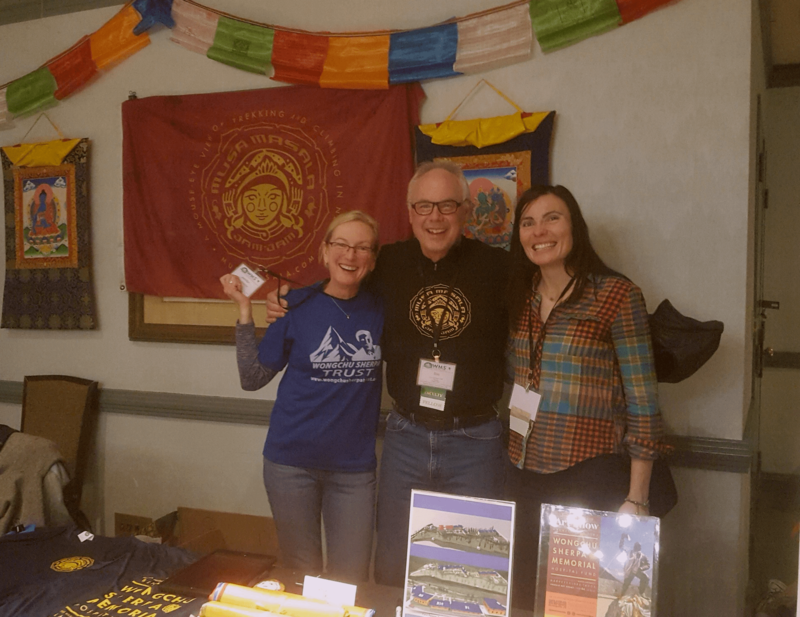 On the last night of the conference, the Musas presented the WMS with a check for $1,350 raised from Tatiana’s GoFundMe drive with Olga Dombrowski from Olga’s solo climb of Mt. 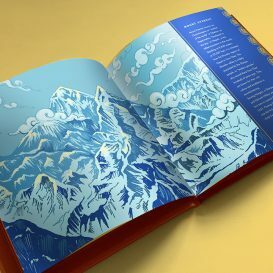 Aconcagua. 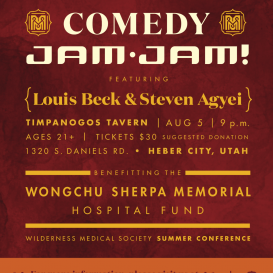 In total, over $15,000 was raised for the Wongchu Sherpa Memorial Hospital Fund! 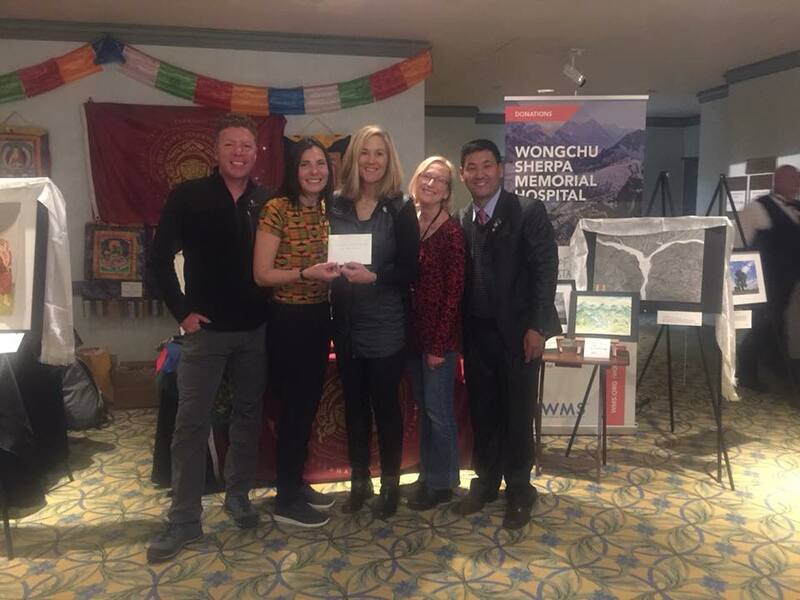 The Musa team presenting Luanne Freer and Ang Phula Sherpa with a check from the Olga Dobranowski solo climb of Aconcagua fundraiser. There were plenty of highlights over the length of the conference. 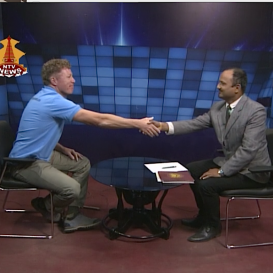 Our favorite was the arrival of Ang Phula Sherpa, head of the Himalayan Yokpu Foundation and manager of the Wongchu Sherpa Trust. Ang Phula came to update the WMS board on the progress of the hospital, and he helped us out at our table. 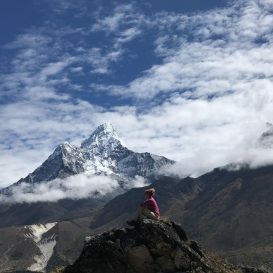 We are looking forward to visiting the hospital site this November with him on the WMS Pikey Peak Wongchu Fundraising trek. 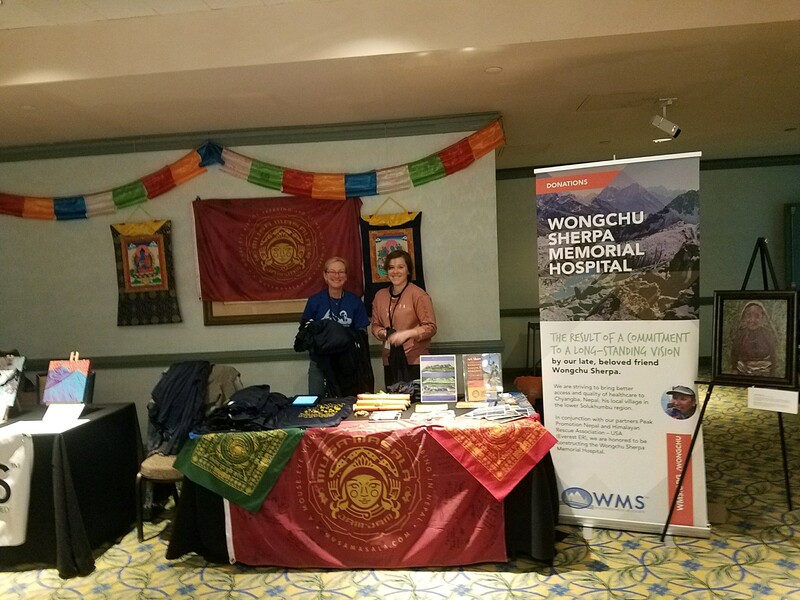 We left Tahoe with so much gratitude toward the members of the WMS who took part in the auction and came to our table to learn more about our Musa Masala altitude cards—which are once again in all the HRA clinics during the spring climbing season, our upcoming book, the hospital project and our work with women athletes to help them reach their goals. Musa team with Eric Johnson, showing his support with his Musa shirt! A special thanks to Robyn Bonini, Lauren Greenway and Teri Howell of the WMS. 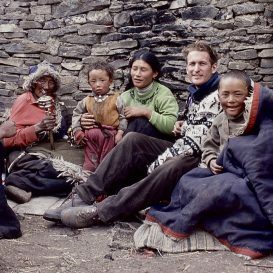 We are also thankful for the work and support of Luanne Freer, Eric Johnson,and Paul Auerbach for their dedication to the Wongchu Sherpa Memorial Hospital. We look forward to the summer conference and more adventures. Jam jam!